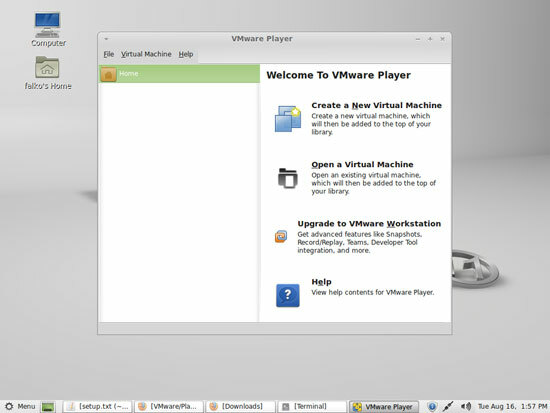 This is how VMware Player looks. You can now build your own virtual machines with it or start existing virtual machines. 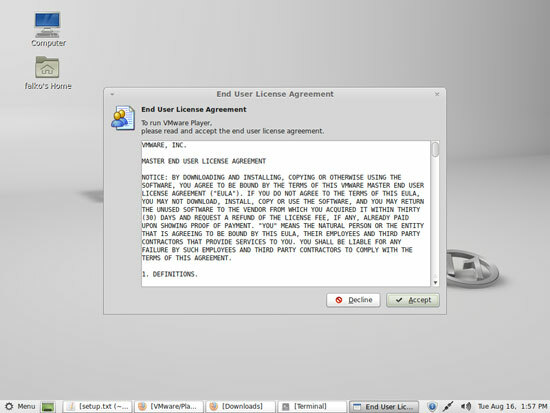 # Copyright 2005-2008 VMware, Inc.  All rights reserved. # checking configuration state or running the module updater. # Only run the GUI if DISPLAY is set. echo "DISPLAY is not set, unable to open the $PRODUCT_NAME user interface." 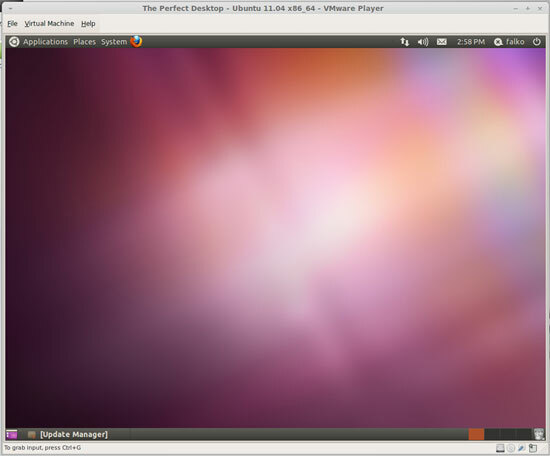 I have had some issues under Ubuntu 11.04 where it's corrupting XP guests. Have you had any issues with this? This was a great tutorial. 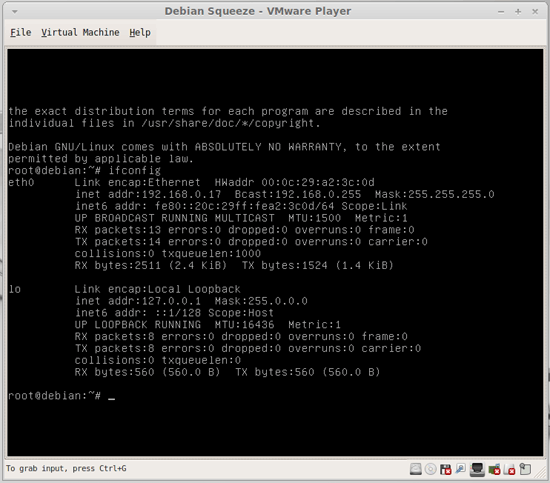 The 4.0 version of VMware Player requires a slightly different command to download the VMware packages. Outside of that, this tutorial was perfect. Thanks!! Absolutely was great. 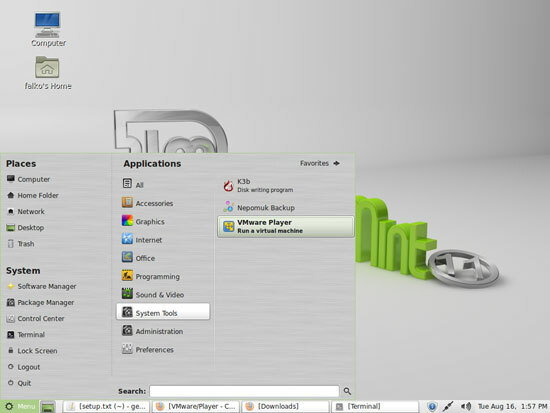 I am a noob to linux, running linux mint 12. 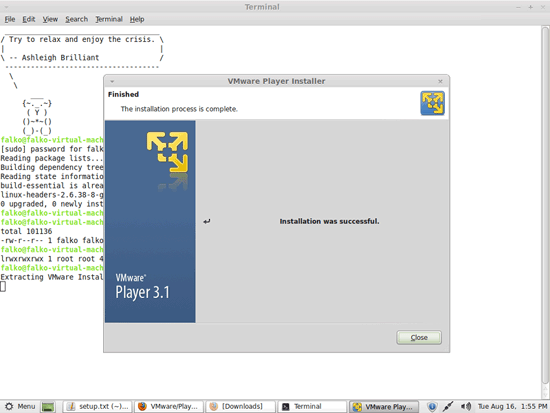 I downloaded the vmplayer 4, and just copy and pasted the commands given on page one of tutorial. It installed quickly and easily. Thanks for your efforts.